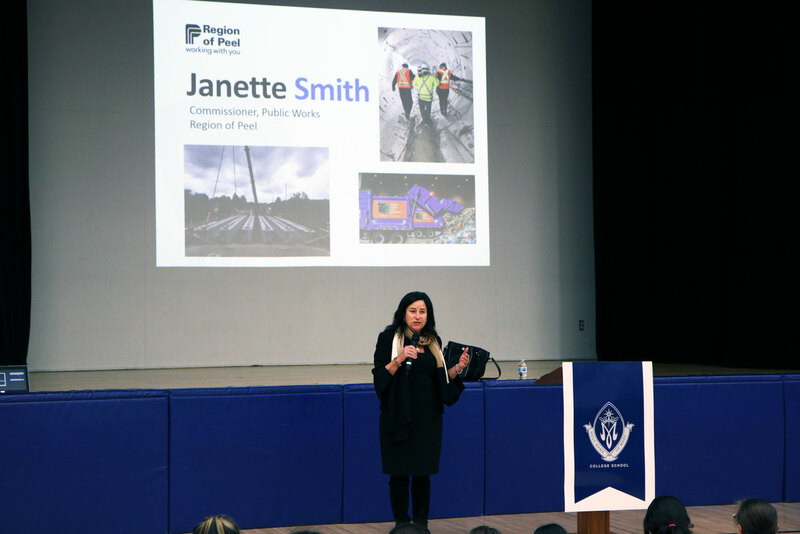 We kicked off International Women’s Day a day early, on March 7, by welcoming Janette Smith, Commissioner of Public Works with the Region of Peel, responsible for ensuring Peel Region’s drinking water is safe. She previously worked as Commissioner of Health Services and Peel Paramedics and knows what it’s like to work in male dominated fields. The theme of this year’s International Women’s Day was #BalanceforBetter, a call to action for driving gender balance around the world. Do you feel you have ever been treated differently because you are a girl? How? Are there some jobs you wouldn’t do because you are a girl? Which ones? Do you feel that there are some leadership jobs that are harder for women to do? Do you have any questions for Janette about being a leader in a mostly male dominated department? Ms. Smith shared personal stories of her triumph over those who questioned her capabilities, not because of her experience or knowledge, but because she was a woman. Her advice when facing these challenges? Be confident in your abilities, do your homework, be prepared, and follow through with what you say you will do. We extend our congratulations to Ms. Smith who has since then been hired as the new city manager for Hamilton. She will become the first female city manager in the history of amalgamated Hamilton. She starts the new post May 6, leading a workforce of 7,000. We were also honoured to be invited to participate in Mayor Crombie’s Third Annual International Women’s Day Breakfast at City Hall. 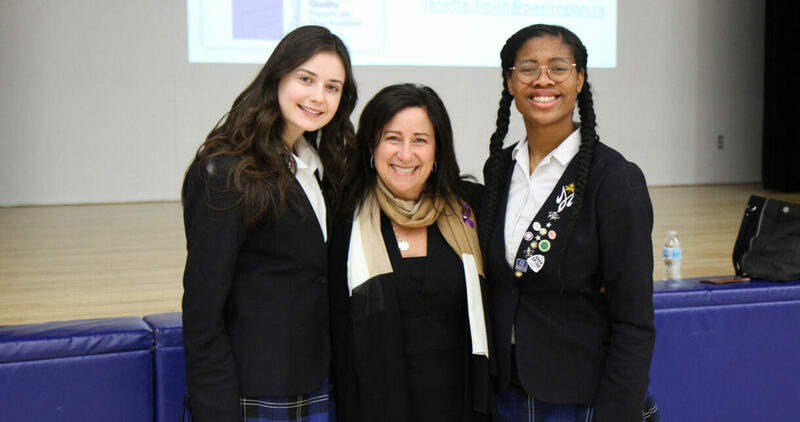 Students Delaney Ras ‘22 and India Pereira ‘22 represented HNMCS at the event that welcomed nearly 200 women including students from 44 Mississauga secondary schools. As part of the breakfast, students participated in breakout sessions to discuss what actions can be taken to motivate and unite friends, colleagues and whole communities to think, act and move the needle forward on achieving true gender equality. Students put forward their ideas and recommendations to the Mayor, City Councillors, Members of Provincial Parliament, school trustees and senior staff from the City of Mississauga, local school boards, post-secondary institutions, Peel Region, Peel Police and Mississauga Fire and Emergency Services who were all in attendance. 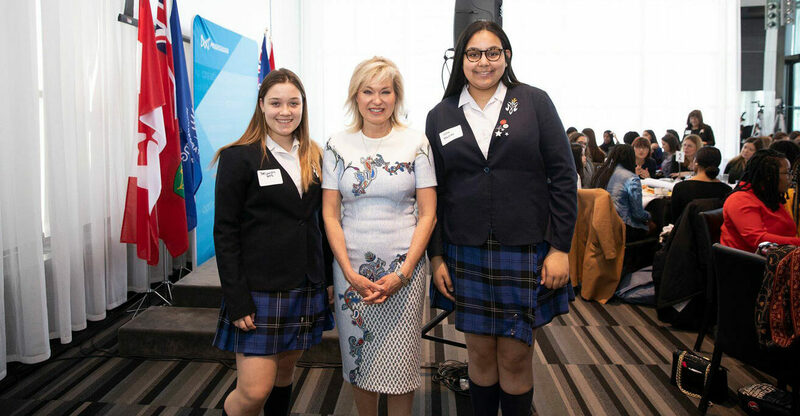 This yearly mentoring opportunity gives young high school girls in Mississauga the opportunity to network, brainstorm and get inspired to take action on some of the most pressing issues facing women in the twenty-first century.